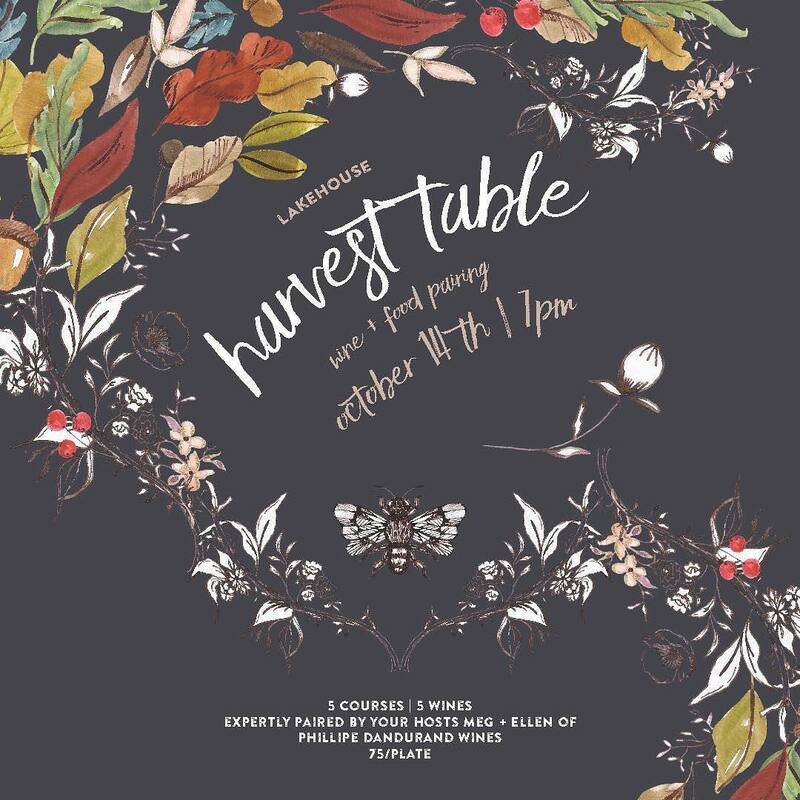 Close your eyes and imagine if you will, a bountiful feast of harvest fresh veggies, savoury delights and home baked pies. This is fall dining, where table-long spreads of hearty comfort foods bring communities together, and where the outdoor patios of days gone by are easily exchanged for cozy eateries. If indulging in a good meal is one of your favourite things to do when the temperatures dip, add one of these delicious restaurants/culinary events to your list this autumn. Harth has been getting quite the buzz since it’s opening. This mozza and wine bar is a cheese (and wino) lover’s dream come true, offering the traditions of old-world Italy with seasonal local ingredients. Dishes here are served family style (because as some say, food is meant for sharing), with options like home-made pastas and Neapolitan-style pizza to savour and enjoy with loved ones. If you’ve ever enjoyed an evening spent relaxing in a dimly lit eatery in France, Spain or Italy, consider Cordova Winnipeg’s version of that delightful experience. With a wide selection of wines, beer and small plates to share, Cordova pairs a perfectly designed interior with mouth-watering cuisine. Perfect for Friday nights out on the town! If you were enchanted enough to book a fall weekend at Bella’s Castle, be sure to eat at least one meal at The Olive Tree. This charming cafe serves up sweets like pumpkin spice buns alongside savoury dishes like the GENIUS perogy soup. It’s worth the drive for the soup alone! Enter a world of chocolate and pastry-inspired food, drinks, dresses, music and entertainment at In Wonderland, the Winnipeg Art Gallery’s fantastical event that celebrates everything sweet. The event is set in a dreamscape inspired by Alice in Wonderland, and YES costumes are encouraged! $25 of every ticket sold will be donated to the Chocolatier and Pâtissier endowment fund at Francofonds. This Toronto transplant fits in quite well in downtown Winnipeg, and to be frank, we can never have enough Mexican restaurants. 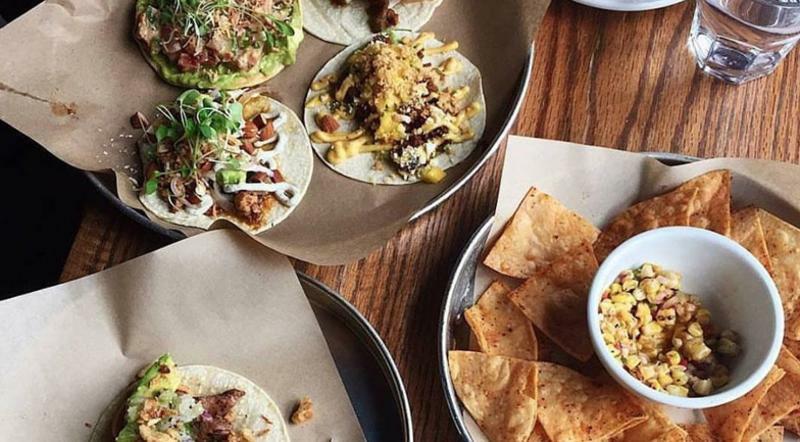 La Carnita injects Mexican street cuisine with a “gringo twist”, serving up hearty servings of tacos, guacamole and quesadillas in a lively, energetic setting. What do you get when you combine burgers with great drinks? A Tipsy Cow, of course! Owners Josh and Will pride themselves on making unique burgers using local products – right down to the mustard! 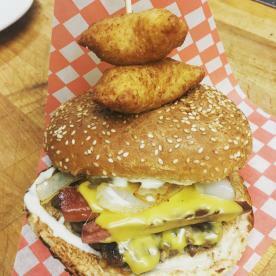 Try the chili fries, the Winnipegger burger or the oreo chocolate cake ft. Cornell ice cream. Winnipeg is experiencing a bit of a craft beer Renaissance, and One Great City is certainly one of the stand outs in this beer-loving era. With a large interior, One Great City Brewing Company is ideal for large groups (although there’s plenty of smaller tables too) looking to try some local flavour. Try a flight to sample the best of this brewing company before ordering from the menu of burgers, nachos and more. One Great City Brewing Company is one of the three stops of the Winnipeg Trolley’s Ale Trail tour. When we talk fall dining, we mean comfort food. And really, what’s more comforting than a perogy fried with onions, dipped in sour cream? Nothing, that’s what! 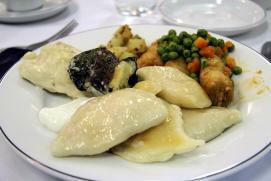 Alycia’s recently moved to its new location at 20010 Glen Bay Road, Gimli, where it continues to serve up Ukrainian staples. 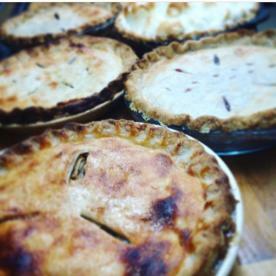 Visitors to the Parkland can rest easy knowing a homemade meal is always available at the popular Corinna’s on Main. 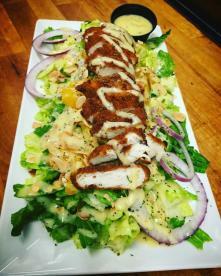 Breakfast, burgers, salads and sandwiches are all available on Corinna’s large and generous menu. 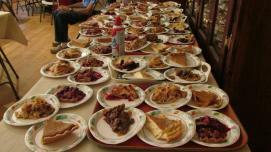 We couldn’t write a list of places to eat this autumn without mentioning fall suppers. 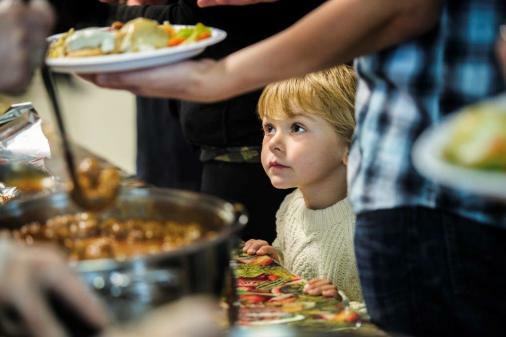 While pop up restaurants and local food feasts are totally trending right now, these sit-down community meals are a long held Manitoba tradition that regularly feature perogies, fresh veggies, turkey and pie. And lucky for you, there are tons happening in the province through to November. Is there any better combination than that of potato, gravy and cheese? 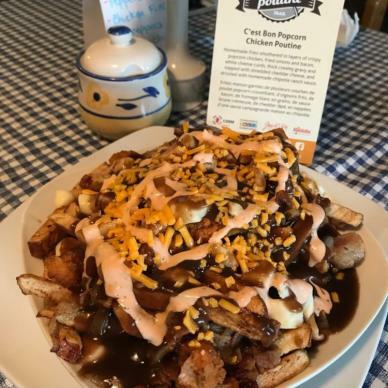 A group of southeastern Manitoba’s bilingual communities are celebrating the revered dish by creating their own signature poutine with a twist. 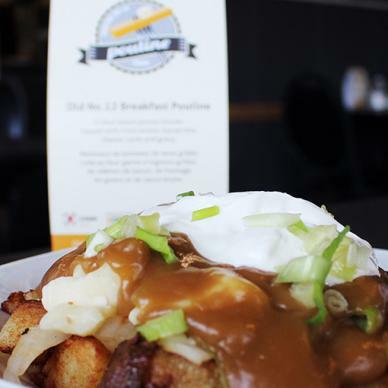 There are 8 restaurants on the Poutine Trail – see which ones we tried!